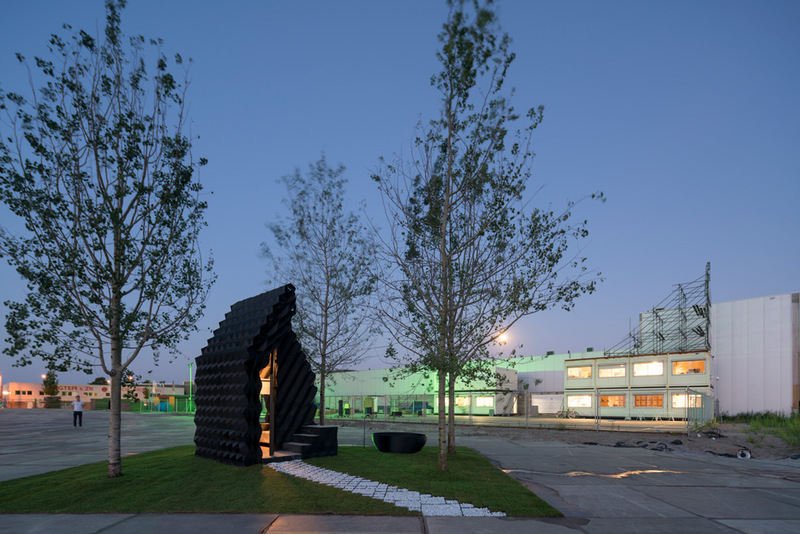 In 2014, DUS Architects, an Amsterdam-based architecture firm that focuses on what it calls, “public architecture,” began researching a 3-D printed Canal House that’d be situated along the Buiksloter canal in an industrial area in Amsterdam. 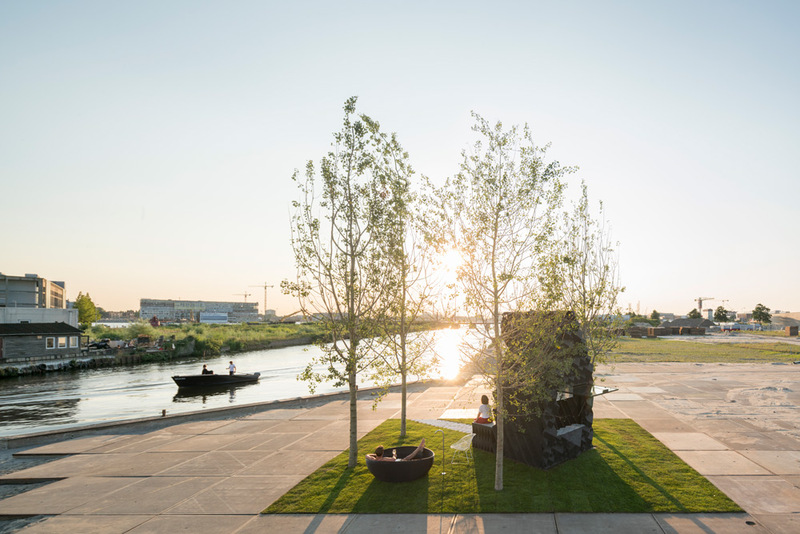 Two weeks ago, it unveiled a micro version of the Canal House called the Urban Cabin on the site. 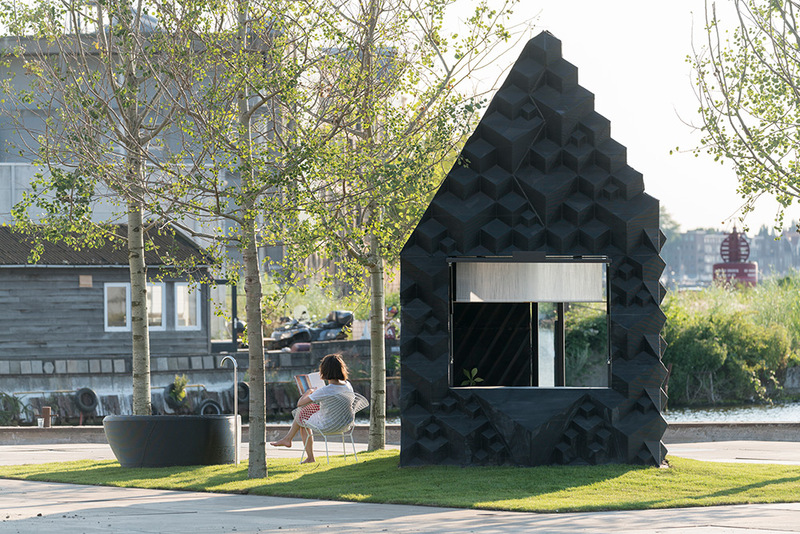 Although the Canal House will have 13 rooms, the Urban Cabin is a mere 86-square-feet. The purpose-built printer DUS is using both for the cabin and the Canal House is called the KamerMaker (Dutch for “room maker”). The team plans to print the facade first and then the rooms in sequential order so that it can learn and test as the process unfolds. 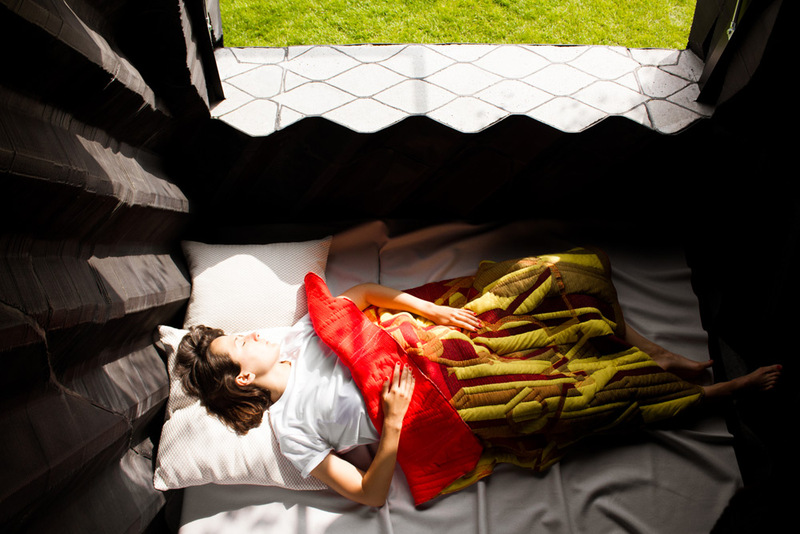 The 3-D printed cabin features a bed that folds into a seat during the day, two windows, and a bathtub (also 3-D printed) that sits outside. The house rests on a concrete infill pad that extends out from the structure to provide a small outdoor space and entryway. But the most impressive aspect of the building is its sustainable, bioplastic facade in a honeycomb pattern that offers extra structural stability. DUS developed this printable bioplastic—which uses linseed oil as its main component—specifically for the structures with consumer manufacturing company Henkel. When it is no longer needed, the bioplastic can be shredded and re-printed into something else, an aspect the firm hopes can help promote 3-D printing for use in disaster relief or temporary housing efforts. For now, though, the cabin is used for research and development for the firm, which plans to unveil the full-sized Canal House in 2017. 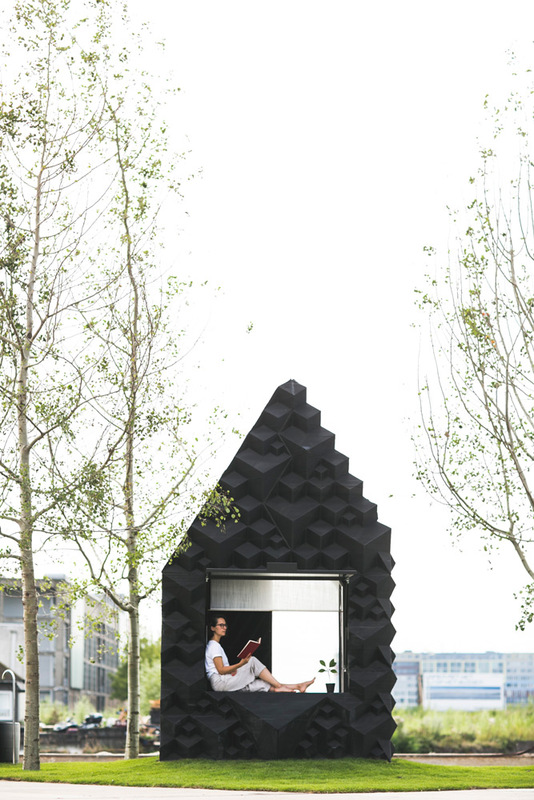 It is also available for short-term rent to further promote the concept of 3-D printed housing. More information can be found here.